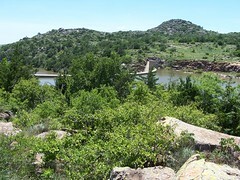 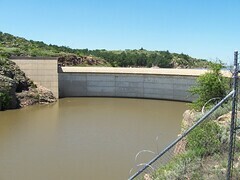 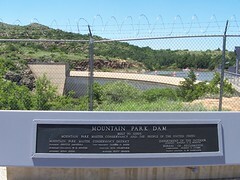 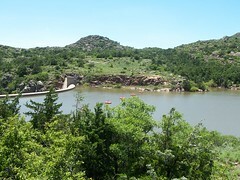 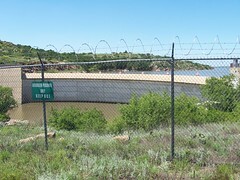 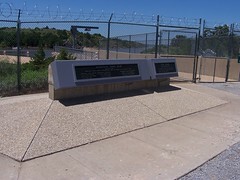 Mountain Park Dam: built to serve Mountain Park master conservancy and the people of the United States. 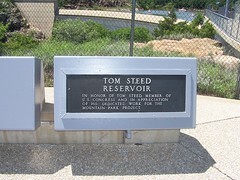 Tom Steed Reservoir: In honor of Tom Steed, member of U.S. Congress and in appreciation of his dedicated work for the Mountain Park Project. 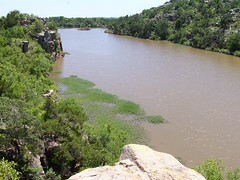 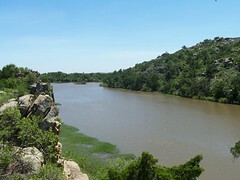 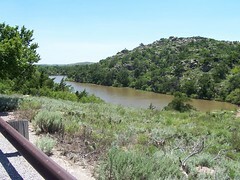 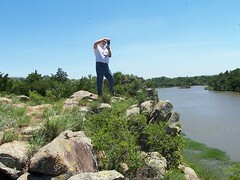 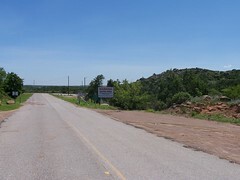 On south side of Tom Steed lake at the Great Plains State Park a few miles north of Mountain Park, Oklahoma on US 183.